Customer satisfaction ratings are typically better than average. Has fewer customer complaints than the industry median, relative to its size. Erie locks in your auto insurance rate, so your premium won’t change unless you add or remove drivers or cars. 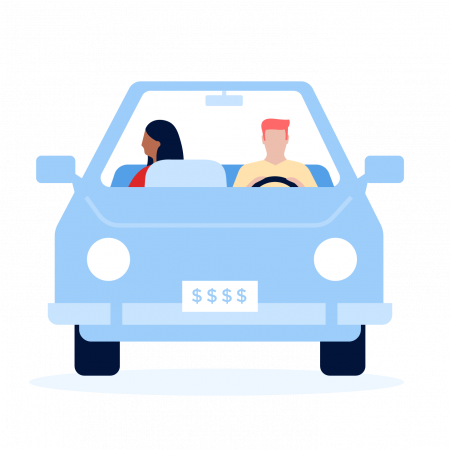 Rate lock (or RateProtect in New York), which lets you lock in your auto insurance rates until you add or remove drivers, add or remove vehicles, or move. Accident forgiveness, which prevents you from facing a surcharge after your first at-fault accident once you’ve been an Erie customer for three years. Diminishing deductible, which reduces your deductible by $100 for every consecutive year you don’t file a claim, up to $500. Pet injury coverage: Up to $500 each for veterinary care for pets injured in your vehicle in an accident, up to $1,000. New car protection: If you have a car up to 24 months old and it’s totaled, Erie will replace it with a new car of the current model year, but this isn’t available in every state. Better car protection: If your car is at least 24 months old and is totaled, this coverage will pay for a car of the same make and model two years newer, or it will pay off the auto loan if there is one. This coverage isn’t available in every state. Generous rental car coverage and options: Most auto insurers offer rental car coverage at an extra cost, so you have a way to get around if your car is in the shop for covered damage. Erie includes the basic coverage free in its comprehensive coverage, but you can pay up for upgraded rental options, such as a luxury car or SUV instead of a sedan. Guaranteed replacement cost so your home will be covered in full if it’s destroyed or damaged, with no “wear and tear” taken into account. This isn’t available in all states. Animals are covered up to $500. Theft or loss of your belongings, is covered with Erie’s base homeowner policy, unlike many competitors. Computer and electronic equipment coverage. Jewelry, art and high-end valuables coverage. Water backup and sump overflow coverage. Erie’s life insurance choices include term, whole and universal policies, though none is available in New York. Term life policies are available for terms of 5, 10, 15, 20 and 30 years. Up to $90,000 of coverage is available without a medical exam; you’ll get an answer within 15 minutes when you apply. Erie’s financial strength is “superior,” according to ratings agency A.M. Best. Financial strength is important because it indicates how well an insurer can pay claims. Erie had fewer than the median number of complaints to state regulators in 2018 relative to its size for auto, home and life insurance, according to the National Association of Insurance Commissioners. Erie’s homeowners insurance ratings are mixed, but it’s the top-rated insurer in J.D. Power’s auto insurance studies in 2018. Website: Erie’s website is handy. You can get an auto quote, find an agent, pay your bill, access your account, file a claim and find a repair shop. Erie doesn’t have a smartphone app. Renters, condo and mobile home insurance. Insurance for classic cars, all-terrain vehicles and recreational vehicles. Identity theft recovery and fraud reimbursement.